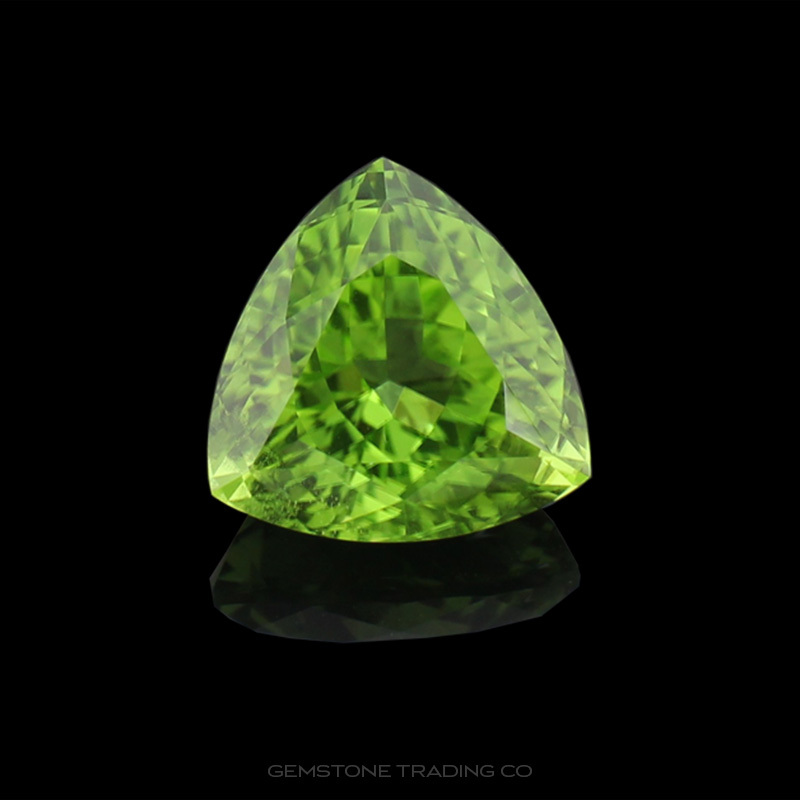 Peridot is one of the few gemstones that comes in a single colour. The depth of green depends on its level of iron content. Higher amounts of ferrous iron in the stone will result in deeper, more vivid greens. These greens can be so strong that it has made for some powerhouse comparisons. It is believed that Cleopatra’s famed Emeralds that adorned her headdress were actually exceptionally large and beautiful Peridots. The ancient Romans shared this sentiment and called it ‘evening emerald’ since its colour did not darken at night, and could still be appreciated under incandescent light such as candles. Peridot is the only facetable material found on this planet which can be extra-terrestrial in origin. 3 meteorites which facet grade Peridot have hit the planet. The Gemstone Trading Company is proud to be able to offer a selection of this with GIA certified stones cut from Admire, which was found in Kansas in 1881. Today, the most important deposits of Peridots are found in Pakistan and Mogok (Burma). Other lesser deposits are found in Australia (Queensland), Brazil, Kenya, Mexico, Norway, South Africa, Sri Lanka, Tanzania and the United States. Recently China has become of the largest producers of Peridot, although the quality is comparatively poor, producing yellowish or brownish greens or black inclusions.